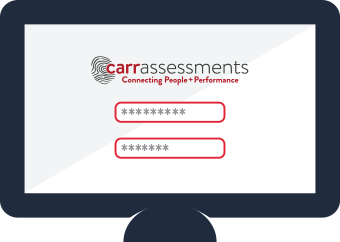 Carr Assessments is a market leader in the development and administration of comprehensive psychological assessments. 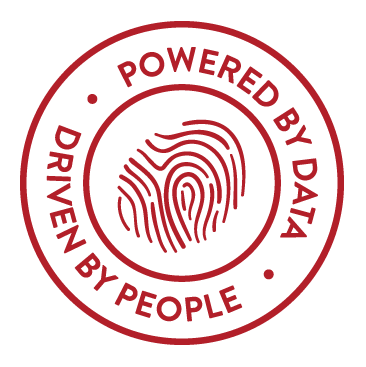 We are a regional and national provider of perceptive, insightful, and data-driven assessments that assist organizations in realizing their human potential. We provide our services to a broad range of clients, including public and private companies of all sizes, as well as non-profit organizations. 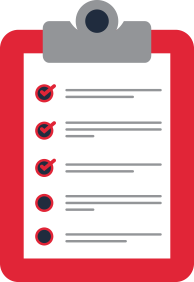 Our products are used for pre-hire selection; organizational and succession planning; leadership, team, and sales force development; career counseling and transitioning; and acquisition talent assessment. Carr has created cutting-edge systems that utilize advanced algorithms and multiple psychological tools that predict behavior. 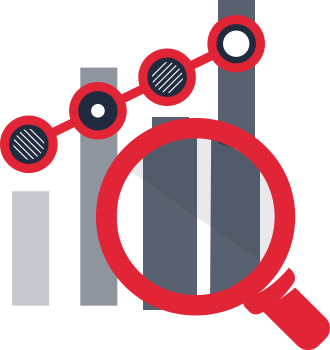 Data is analyzed and interpreted by our psychologists who tailor reports to the job, and to the client’s culture and values. We enable our clients to make objective, rather than subjective or emotional, hiring and development decisions. This has direct bearing on turnover, productivity, and profitability. Carr Assessments dates back to 1966, when Ed Carr, a Ph.D. Psychologist, founded the company. The mid-1960s marked a change in how psychologists viewed individuals in the work place. During this period, the field’s name changed from industrial psychology to industrial and organizational psychology. Prior to this time, industrial psychology focused on the individual’s work behavior, ignoring the influence of the organization on individual and group behavior in the work place. Dr. Jack Goodner, an industrial psychologist, acquired the company from Carr in 1989. To keep pace with fast-changing technology, he pioneered systems to utilize state-of-the-art analytics that helped move Carr and the industry away from paper and pencil testing to online assessments. Today, Carr’s digital systems and practices are among the best in the industry. OUR PROCESS - Powered by data. Driven by people. Jack founded Carr Assessments in 1989 and has been a leader in personality assessment since the 1960s. Early in his career Jack worked for IBM, where he designed and implemented testing, assessment, and development tools for the IBM sales team. From there, Jack moved to ACT, the college admissions testing company, where he further developed his skills in testing and measurement. During the next 30 years, Jack consulted for many of the top Fortune 500 companies in the areas of psychological assessment and organizational psychology. 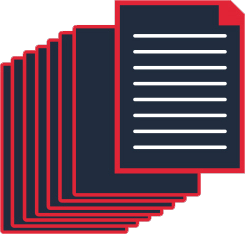 To keep pace with fast-changing technology, he pioneered Carr's systems to utilize state-of-the-art analytics that helped move Carr and the industry away from paper and pencil testing to online assessments. Today, Carr’s digital systems and practices are among the best in the industry. Jack firmly believes in utilizing best practices, including using technology to customize assessment solutions to fit the needs of customers. He holds a B.A. in Economics from the University of New Mexico, an M.A. in Administration from the University of New Mexico, and an Ed.D. in Counseling Psychology from Arizona State University. Kent has been with Carr Assessments for 14 years. He is responsible for developing and researching assessment tools, managing the assessment process, providing career counseling, and ensures quality control for all testing and reporting. Previously, Kent served as Consultant and Service Coordinator for Boone Hospital Center in Columbia, MO. He is a past President of the American Counseling Association, Missouri Chapter. As an assessment leader, Kent is committed to providing fair and objective evaluations, while also humanizing the testing experience. As a career counselor and development specialist, he is a thoughtful advisor and problem solver who fully informs and empowers clients without making decisions for them. He holds a B.A. in Psychology from Westminster College, a M.Ed. and Ed.S. in Counseling Psychology from the University of Missouri, and a Ph.D. in Educational Psychology from the University of Missouri. Paula has been with Carr Assessments for 18 years. She oversees all aspects of Carr's assessment solutions, including test validation, research, and product development. She also works directly with clients and provides feedback to potential job candidates. Previously, Paula worked as an Industrial/Organizational consultant and taught psychology, statistics, and research methods at the University of Nebraska Omaha and Bellevue University. Paula believes that people are happier and more successful in jobs that allow them to take advantage of their strengths and satisfy their personal goals and objectives. She holds a B.S. in Economics from Illinois State University, an M.A. in Psychology from the University of Nebraska Omaha, and has completed all but dissertation in Industrial/Organizational Psychology with the University of Nebraska. Katrina joined Carr Assessments in 2013 after working in Industrial Psychology and related fields for the last four years. Katrina's job responsibilities include data analysis, candidate feedback, applied research, and recruiting. Previously, she was a project manager with Educational Management Solutions, where she focused on compensation studies, staffing, and performance analysis. Katrina believes in a data-driven approach to recruiting, selection, and development. She earned an M.S. in Industrial/Organizational Psychology and a B.S. in Psychology from Emporia State University. Sue has been with Carr Assessments for 20 years, where she oversees talent acquisition and recruiting. She has over 30 years of human resource experience; previously, Sue held HR management positions at Saks Fifth Avenue and BCBS Kansas City. Sue holds a B.A. in Education and Business from the University of Missouri. Amanda joined Carr Assessments after working in the nonprofit sector for several years. She is responsible for managing Carr Assessments' traditional and online marketing strategy, including the Carr Assessments blog and social media. Previously, she was the social media manager for a national nonprofit, where she developed and implemented their social media strategy across multiple platforms. Amanda is excited about applying her psychology and marketing background and experience to help clients better understand how assessments can assist them in improving their hiring and development process. She holds a B.A. in Psychology from Boston College and a Master’s degree from Saint Louis University.